Team sports, such as baseball, basketball, hockey, and football, are sports where players work together toward the common objective of winning a game. 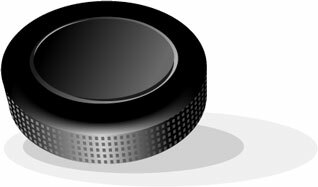 A sports team name usually includes the name of its sponsoring organization or host location plus one or two additional words that combine to uniquely identify the name of the team. The four major professional sports leagues in North America are Major League Baseball, the National Basketball Association, the National Football League, and the National Hockey League. Each league operates a number of team franchises in major cities and metropolitan areas around the United States and Canada. Dubbed "America's Favorite Pastime," Major League Baseball has been around since the 1800s. And it has come a long way since the Cincinnati Red Stockings came on the scene as the first professional team in 1869. Today, there are a total of 30 teams in Major League Baseball — 14 in the American League and 16 in the National League — that draw legions of fans throughout the United States. 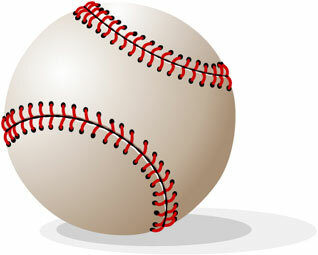 The baseball season begins in April, and culminates in October with the World Series, which is the playoffs between the American League Champion and National League Champion. While many rivalries have existed throughout the years, perhaps the best-known rivalry is that between the New York Yankees and the Boston Red Sox. Basketball was invented by James Naismith in 1891, at a Massachusetts school gymnasium, and by the 1920s hundreds of local teams had sprung up in cities and towns throughout America. In 1946 what is now known as the NBA (it was initially named the Basketball Association of America, and officially changed its name to National Basketball Association in 1949) was formed. The first official NBA game, between the Toronto Huskies and the New York Knickerbockers, was played in Toronto. Today the NBA has 30 teams, most of which have a strong fan base. The NBA caters to its fans by having a great web site that details players and their statistics, as well as game schedules. Every September, football fans settle in for a great season, often picking their favorite team and wagering with friends which team will make it to — and win — the Superbowl. 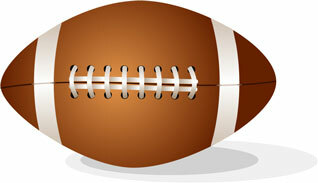 Football, which has been around since the late 1800s, is a relative to rugby. The National Football League, which has been around since the early 1920s, is today made up of 32 teams. The league is made up of two conferences, each of which is divided into four divisions. If you are good at math, you'll realize that each division has four teams. Football season ends in late January or early February with the Super Bowl, in which the two best teams in the NFL are pitted against one another. The Super Bowl draws the most spectators of any professional sports championship, and many people watch to see the innovative commercials and entertaining half-time show in addition to some good football. While professional hockey was first introduced in the early 1900s in Canada, it wasn't long before the sport came to America. The first team that played — the Boston Bruins — came on the scene in 1924. While the Bruins still draw lots of fans, 29 other American teams join them today. The teams are divided into two conferences, and the best team from each conference faces each other in the well-attended Stanley Cup playoffs. TeamNames.us features convenient access to professional sports league and sports team websites as well as online stores offering a broad selection of licensed sports merchandise. Browse our site to find the pro sports team names plus news and information about each of the professional baseball, basketball, football, and hockey teams. American League teams and National League teams. 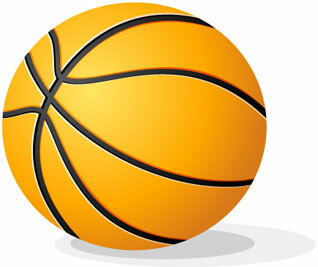 National Basketball Association (NBA) portal. Eastern Conference teams and Western Conference teams. Sports Information - descriptions and resources for competitive sports. MLB is a registered trademark of Major League Baseball. "NBA" is the property of NBA Properties, Inc.